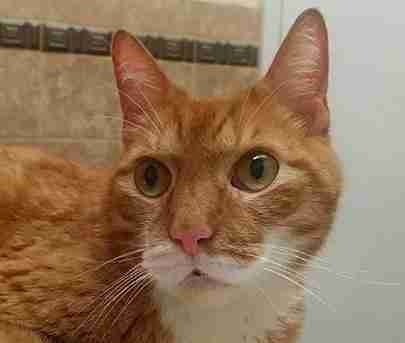 Tiger Tim is a sweet orange cat who wound up homeless and alone in a shelter - all because of a piece of furniture. Tim was surrendered to New York City Animal Care and Control (ACC) when his owner, who'd had him since he was a 3-month-old kitten, got a new couch (although it's not clear why that meant Tim couldn't stay in his home). Magnificat Cat Rescue pulled Tiger Tim from the city shelter and got him into a loving foster home, but the gentle tabby is confused and heartbroken over the loss of his home and family. And his condition is only getting worse. "He refuses to eat, refuses to drink. For days we've been force feeding him to keep him alive," the rescue posted on Facebook on Monday, adding that he's lost about 3 pounds since being surrendered. "He is never aggressive; just so sad, curled into a little ball of misery." 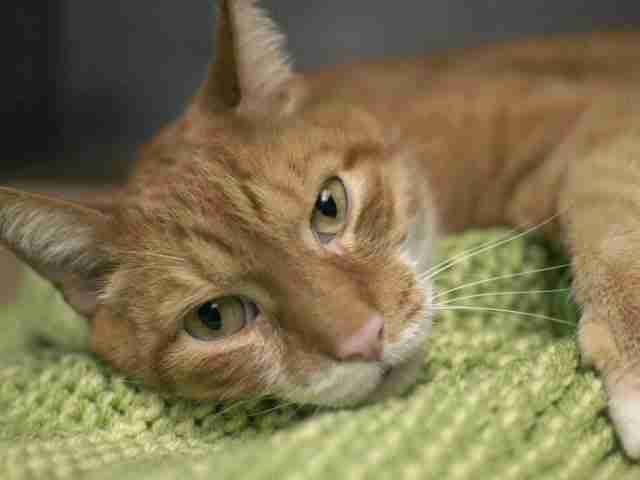 Tiger Tim was on the euthanasia list at the ACC shelter, according to Magnificat. 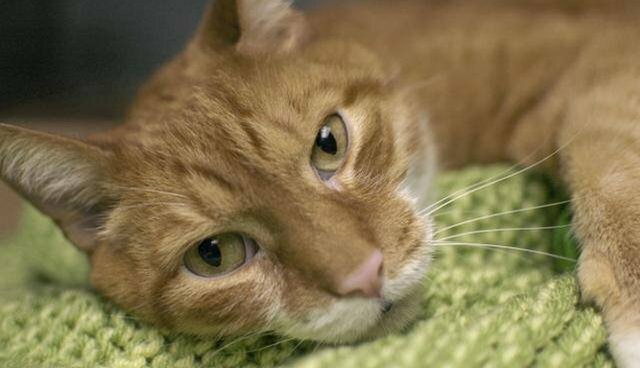 If it weren't for their intervention, he might have been euthanized that day. 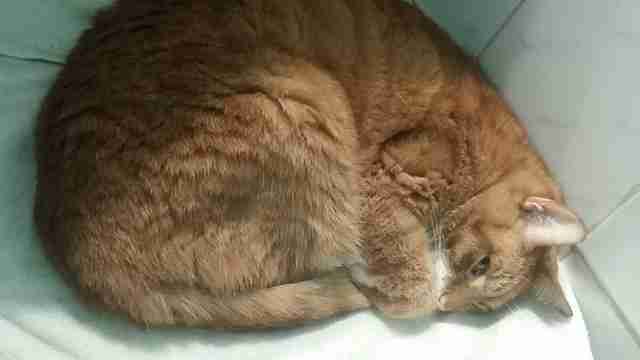 His rescuers were so concerned that Tiger Tim was wasting away out of misery that he's been hospitalized, and tests on Tuesday showed that Tim's white blood cell count is alarmingly high, indicating a possible infection. The rescue is now fundraising to cover the costs of Tim's medical care. It will take a lot of love and support to get him back in shape - both physically and emotionally - but maybe someday Tim will find a new home with people who love him more than their new furniture.